Once in Montréal, I’ve been struck by the charism and the captivating creativity of this city. You would feel them everywhere – in the artistic inventions, in the cafés, on stage, while walking the cobblestone streets. 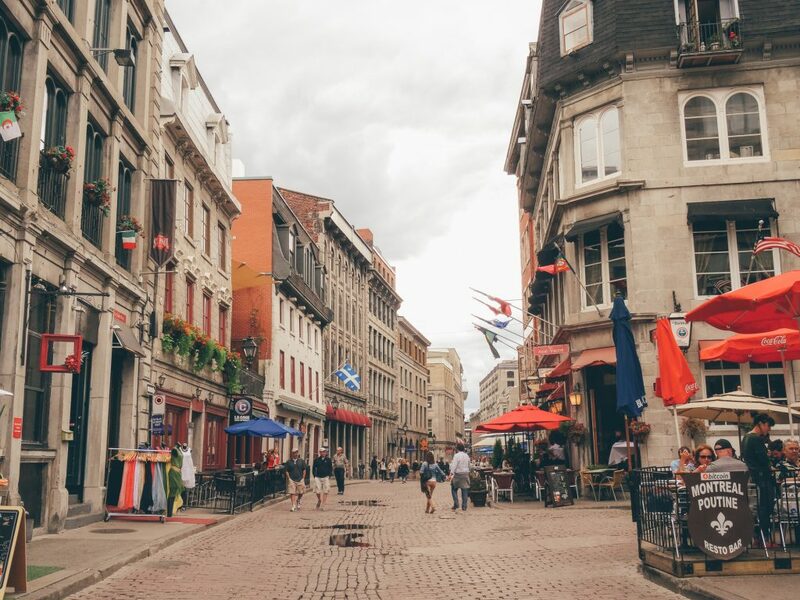 Montréal is a slice of old Europe flavoured with contemporary design. The dual French-English mix adds exquisite charm. People are friendly and would help you with a smile. 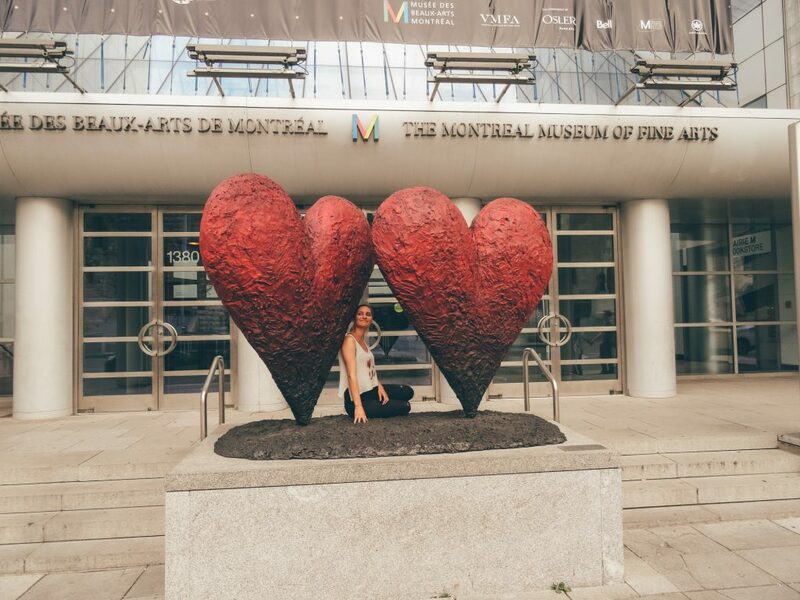 If you are looking for a city of design, love, festivals, fine cuisine and winter wonderland, Montréal would enchant you. 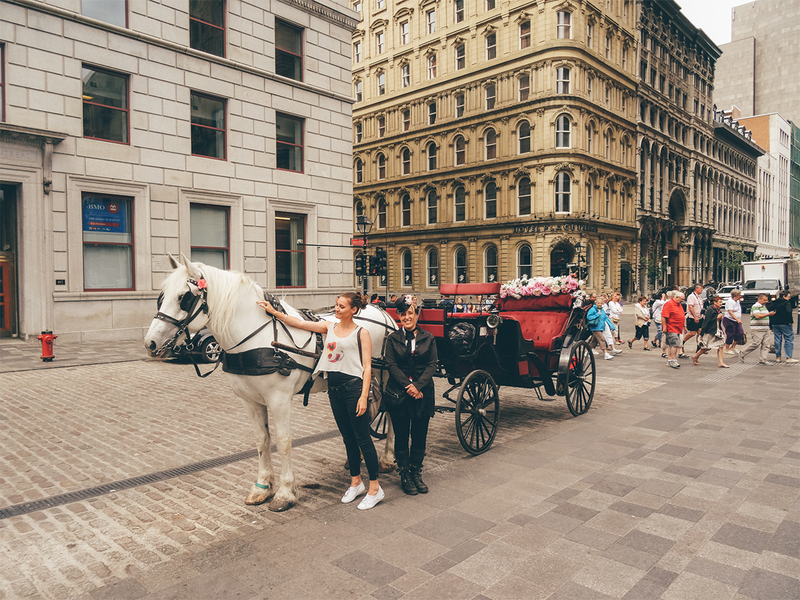 So let’s begin and find out how to spend the perfect day in Montréal. Montréal’s Bonsecours Market or Marché Bonsecours is one of the most recognizable buildings in Old Montréal. Today, the market is popular with tourists and features a wide selection of cafés, shops, bistros and restaurants. 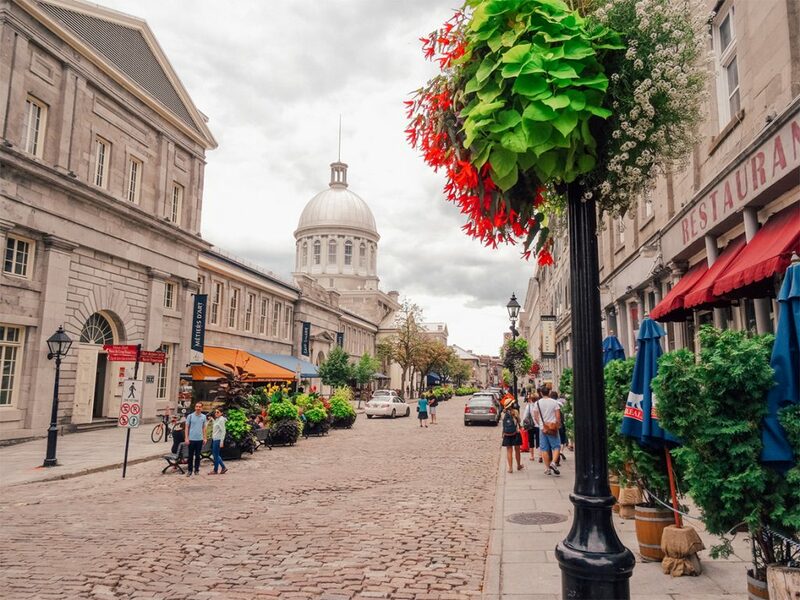 Marché Bonsecours is a wonderful place to enjoy a little shopping, mixed with a bit of Canadian history. 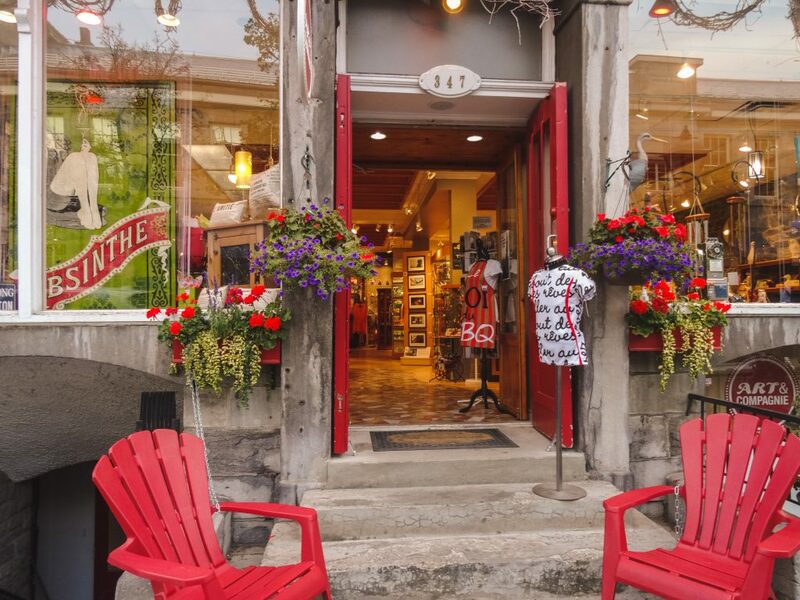 The historical site allows you to experience the shopping experience almost the way the Canadian ancestors did. But do not worry: there are tons of modern stuff to choose from. The Market also provides some fantastic views of the Saint Lawrence River. The silver dome of the building is quite impressive and can be seen from many parts of Montréal, including the Old Port. The Château Ramezay is a historic building and museum on Notre-Dame Street in Old Montréal, opposite Montréal City Hall. 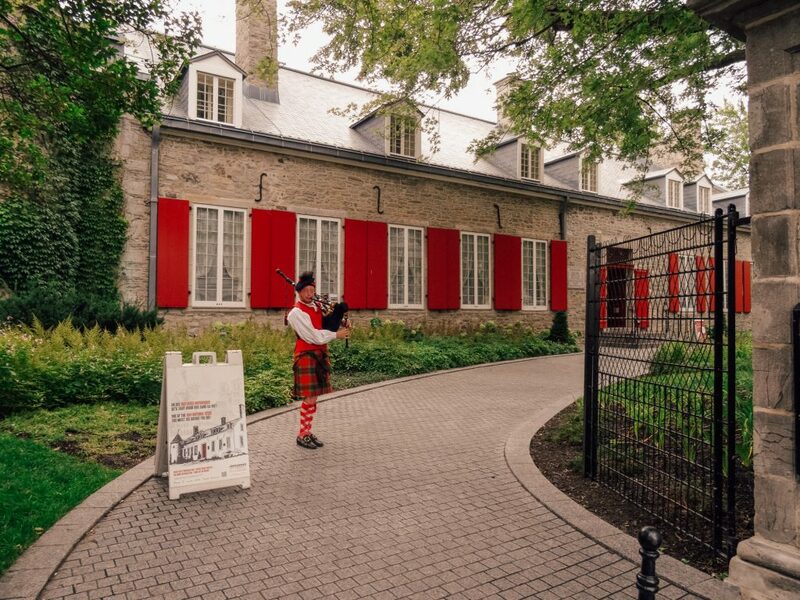 It has a very important role because it was the first building in Québec which was classified a historic monument. Even seeing it from the outside, you step back in time to New France. The beautiful Place Jacques Cartier is named after one of the discoverers of Canada. Strolling in the Old Town, you would inevitably reach it. The architectural ensemble of New France is a popular square in the city and also a common gathering place for visitors and locals. 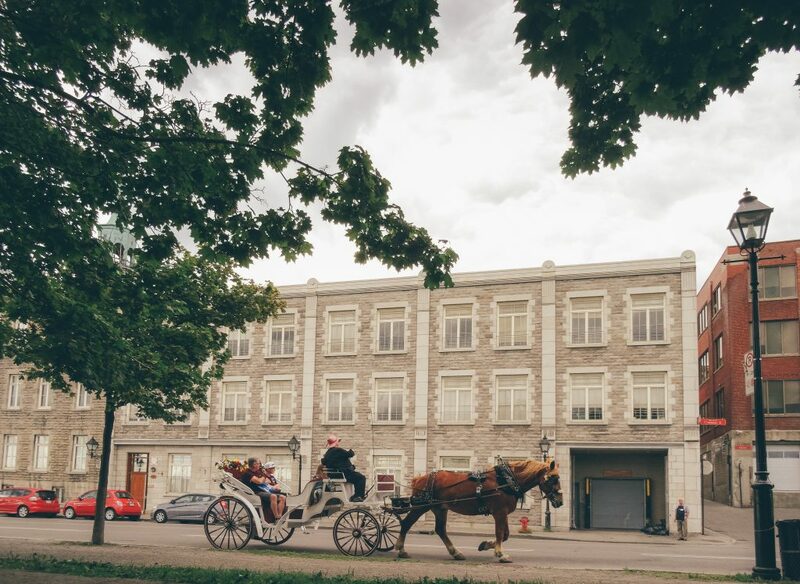 It’s an important venue for your perfect day in Montréal. 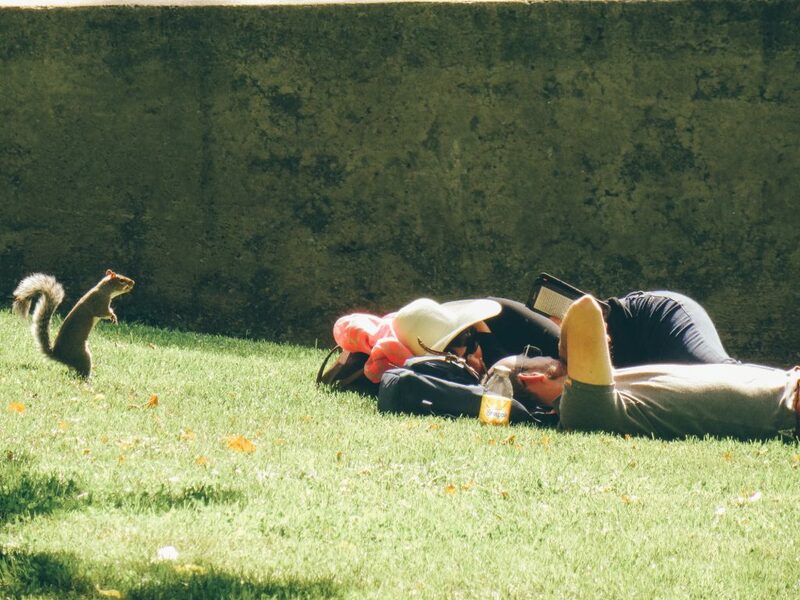 Because here you could feel the local spirit of the city. 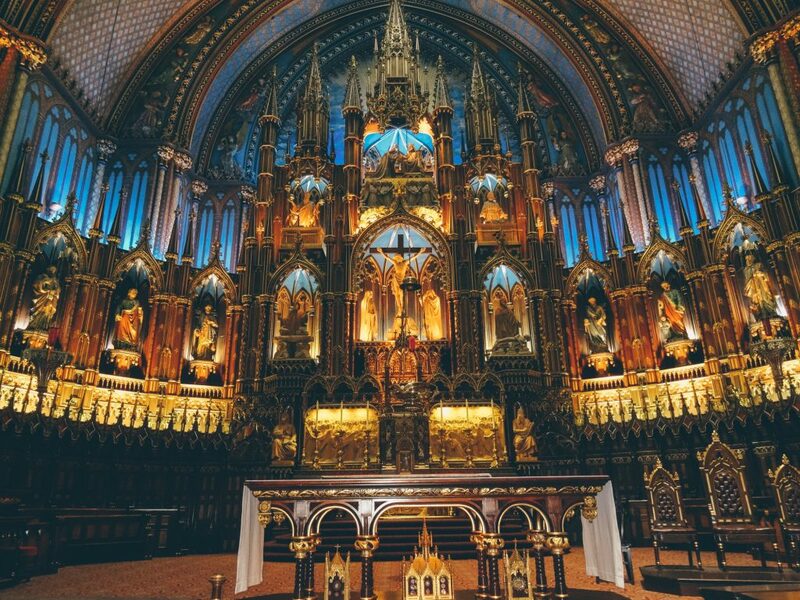 Built in the Gothic Revival style, Notre-Dame is a grand basilica in the historic district of Old Montréal. It is anything but ordinary. Тhe interior of the basilica is highly decorated with vaults in deep blue and golden stars. There are hundreds of inticate wooden carvings, religious statues and sanctuary in blues, reds, purples, gold. The stained glass depictions of Montréal’s religious history add a spectacular charm to the church’s interior. Instead of biblical scenes you would usually see in a church, here you would see scenes from the religious history of Montréal. 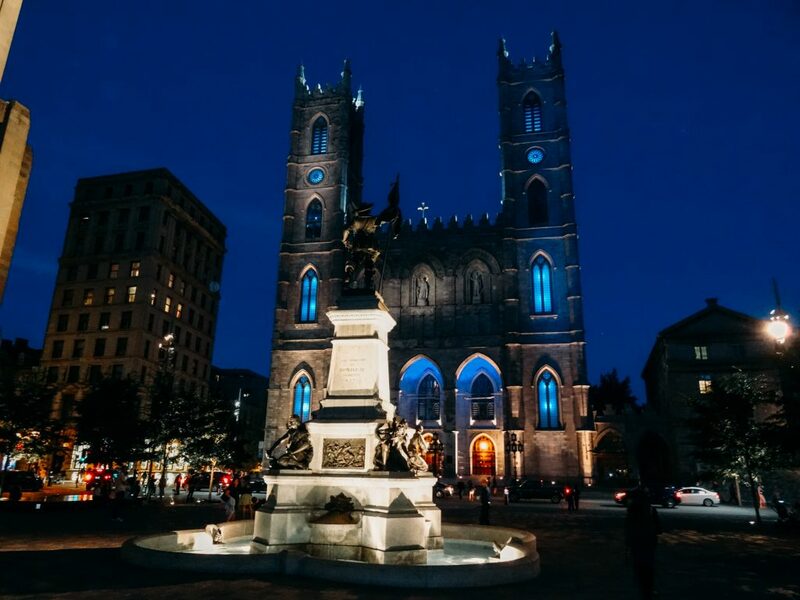 Notre-Dame Basilica is located at the corner of Saint Sulpice Street, next to the Saint-Sulpice Seminary and faces the Place d’Armes, which is our next stop :). 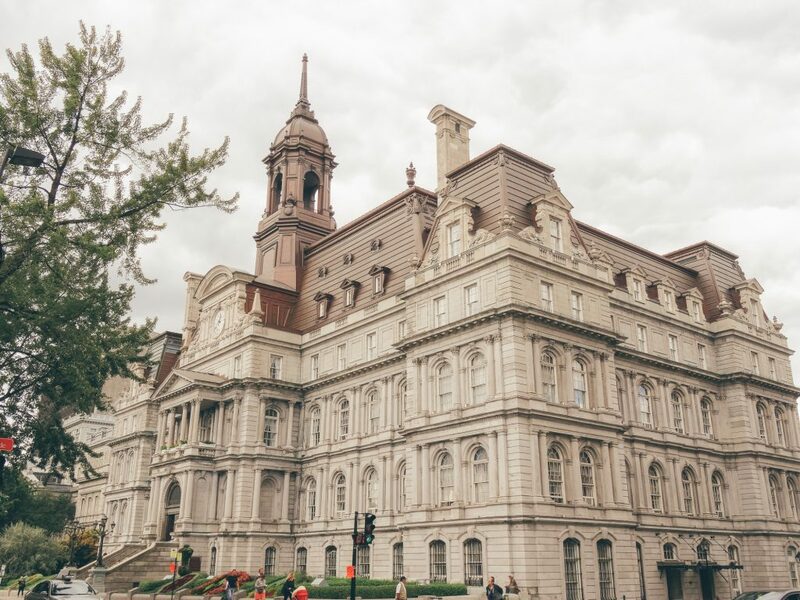 Place d’Armes is a treasure embodying the city’s finest architectural traditions. 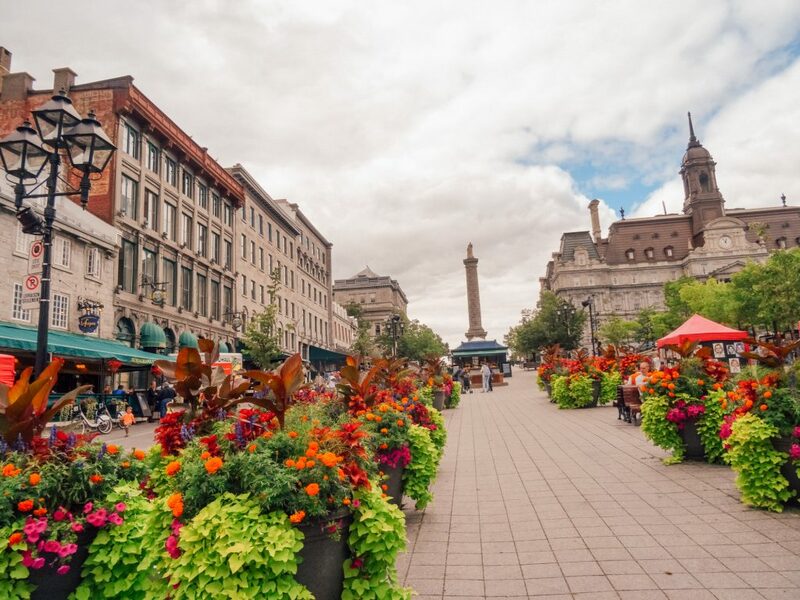 This open square is framed by some of the finest buildings in Old Montréal, including its oldest bank and Basilique Notre-Dame. The square’s name references the various military events that took place here. 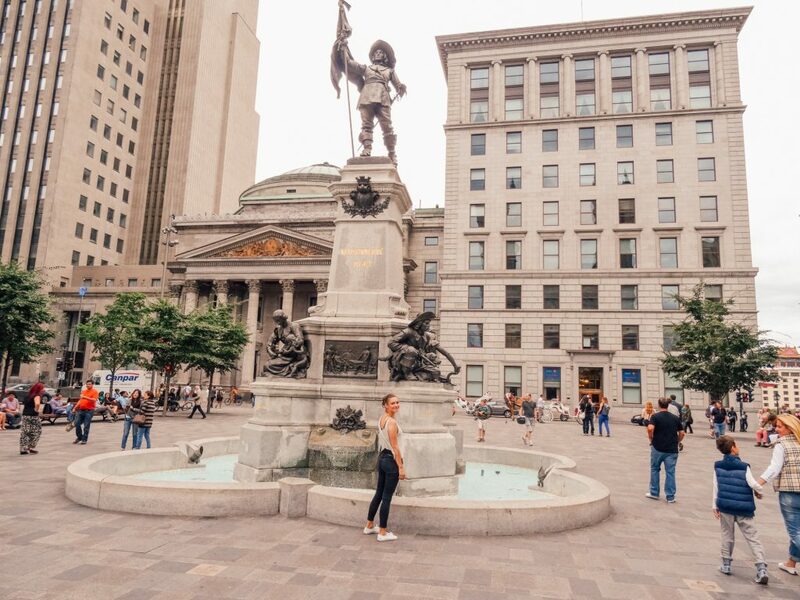 At the center you would meet the monument of Paul de Chomedey, founder of Montréal. Poutine is a Canadian dish which originates from Québec. It consists of French fries and cheese curds, topped with a brown gravy. You could try it at maybe any restaurant in the Old Montréal. 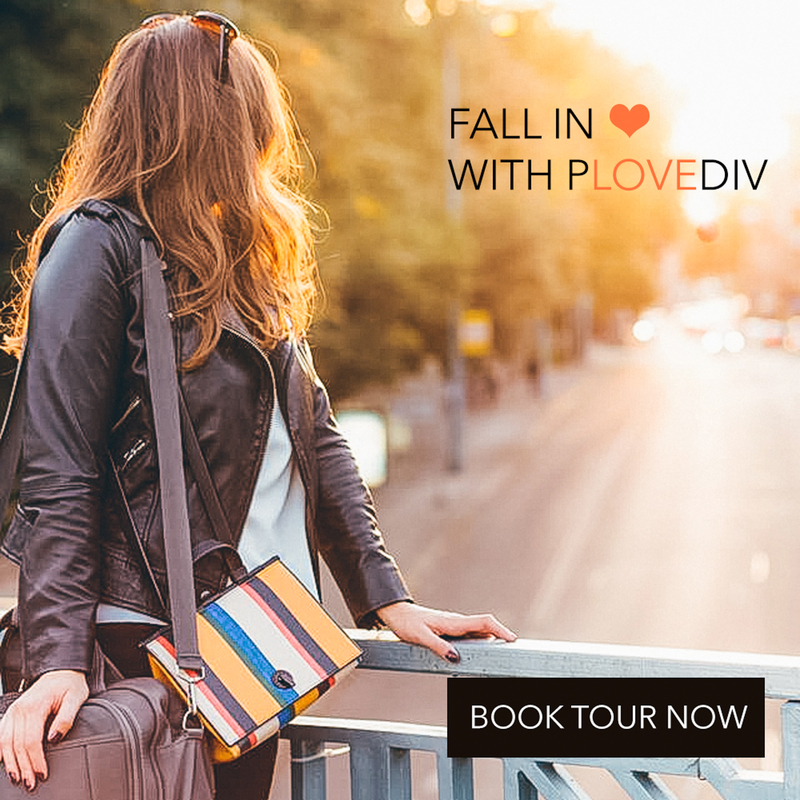 Or maybe book a Food Tour around the historic European neighbourhood and taste poutine, craft beers, gluten-free baker, classic Montréal bagel topped with salmon and many other delicious tastings. Check here. Want to see the city from the top? 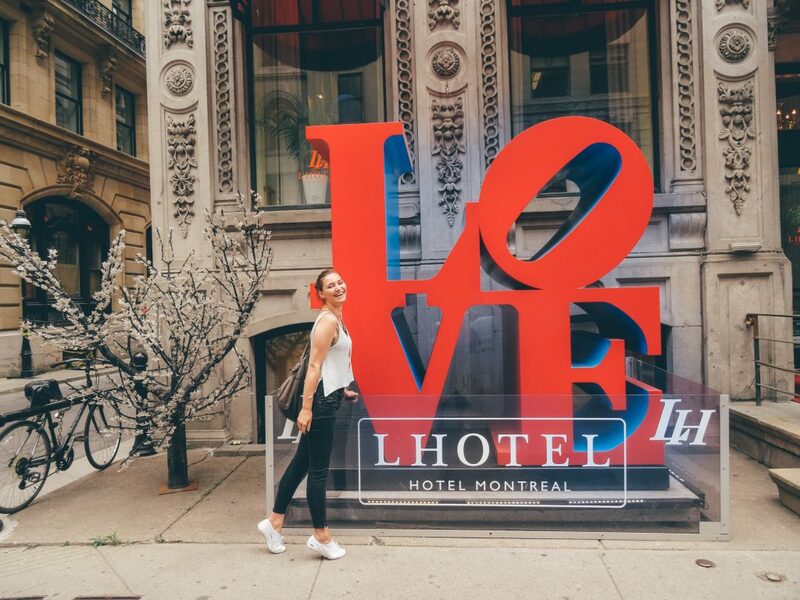 Experience a perfect day in Montréal? Mount Royal offers a stunning view. It is a small mountain more like a hill just west of downtown Montréal. It offers an amazing viewpoint over the city. Beautiful piano music adds cosy charm and romance to this place. You would meet many Montréalers in the park as it is perfect for cycling, jogging, horseback riding, picnicking and, in winter, cross-country skiing. While you’re here, check out also the events. Looking for more stunning views? 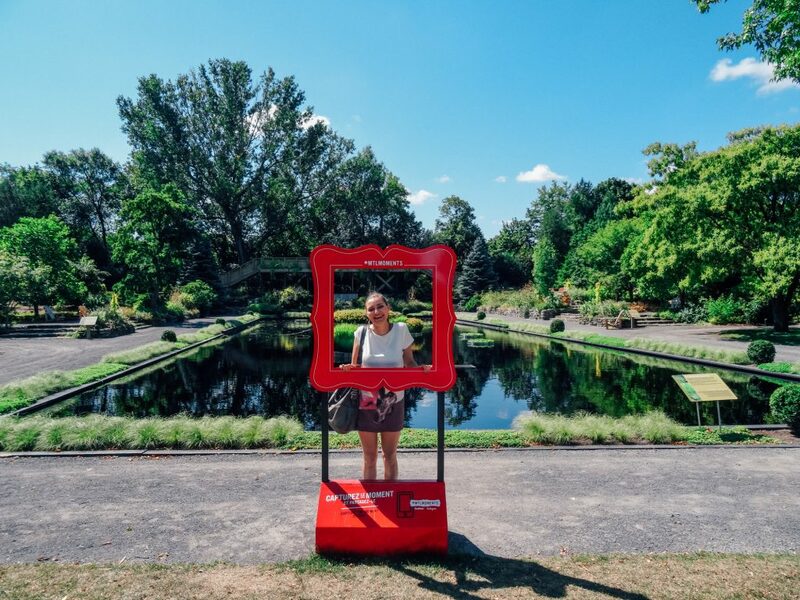 Get to Montréal Space for Life and wander around these remarkably diverse gardens in all seasons. Check for special expositions in advance. 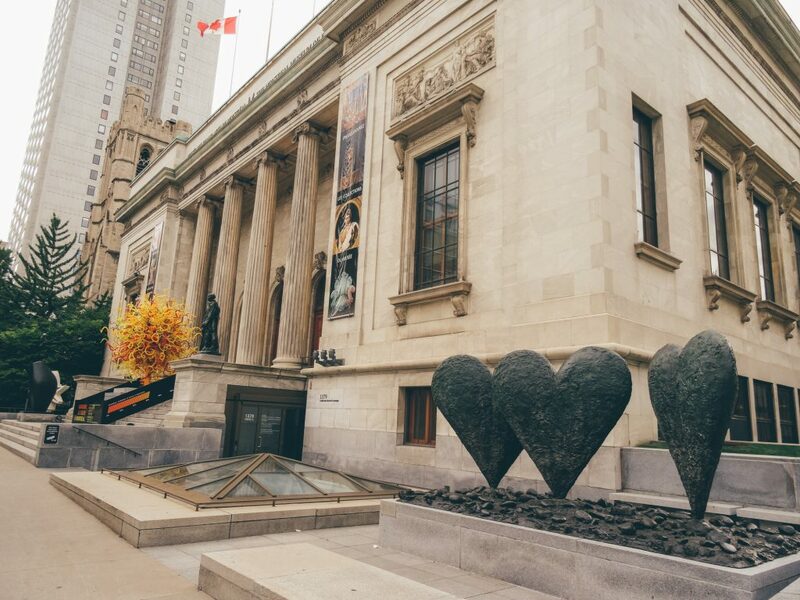 The Montréal Museum of Fine Arts (MMFA) is the city’s largest art museum and is amongst the most prominent in Canada. It is located on the historic Golden Square Mile stretch of Sherbrooke Street. You can’t miss it. It worths seeing even just from the outside. 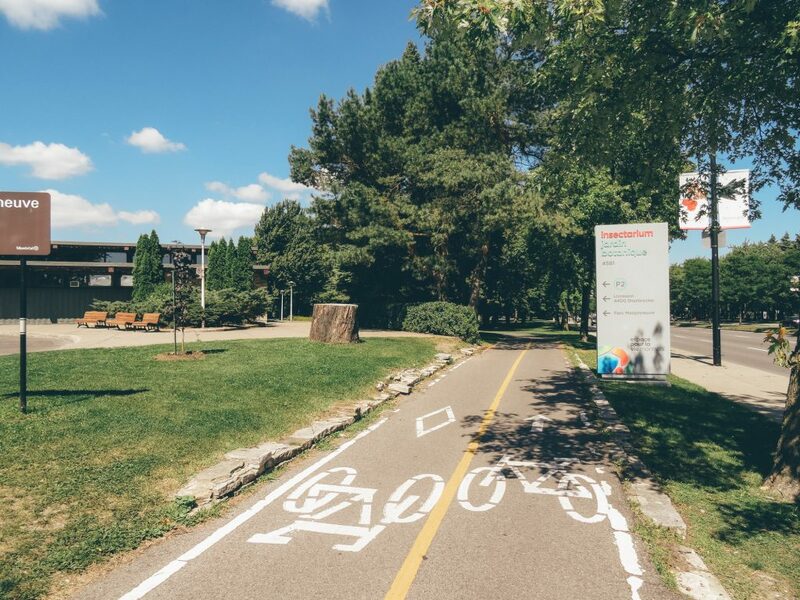 Bike friendly, Montréal welcomes you to ride along the Lachine Canal – a 14 km cycling and walking route starting a bit west of the Old Port. You can rent a bike pretty much everywhere with the swipe of a credit card. 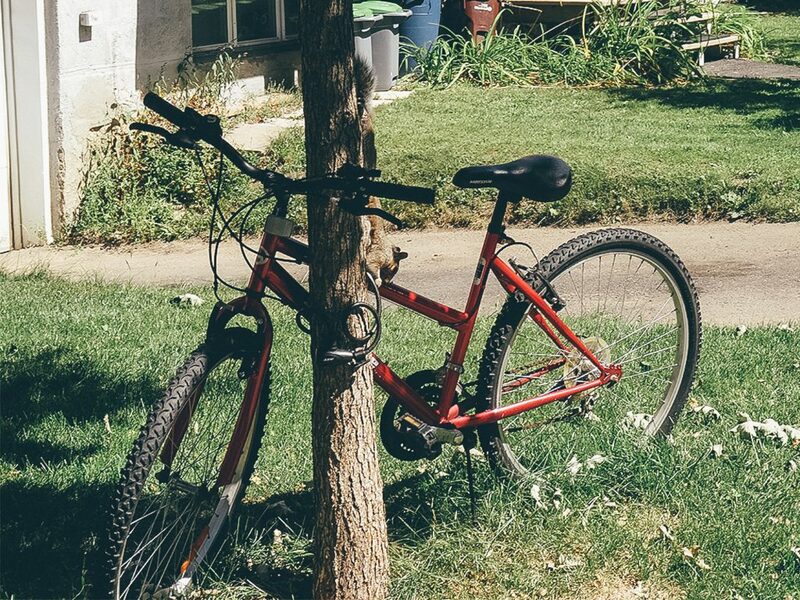 After you finish, you can drop your bike off at any other rental location. 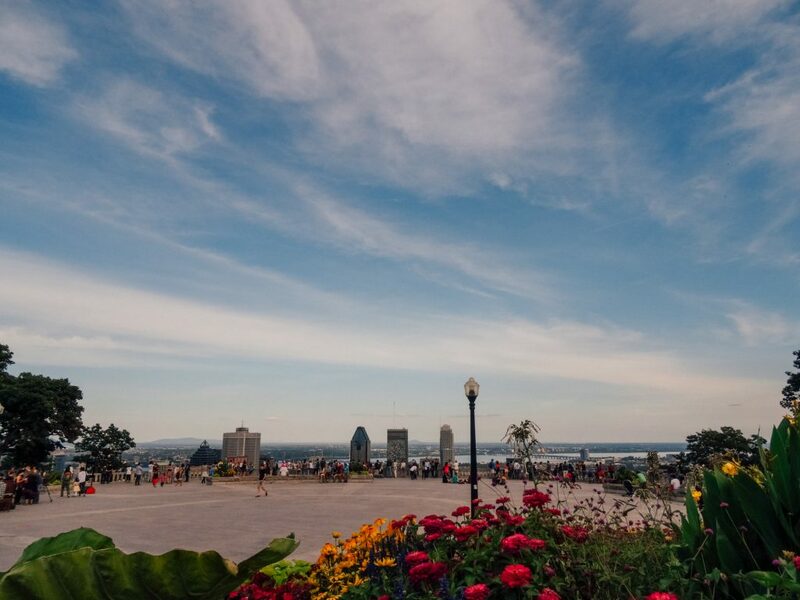 Plan your tour, spend the perfect day in Montréal. And if you have 1 or two days more, visit the picturesque Québec City and add even more charm to your vacation. Find out more about Québec here.